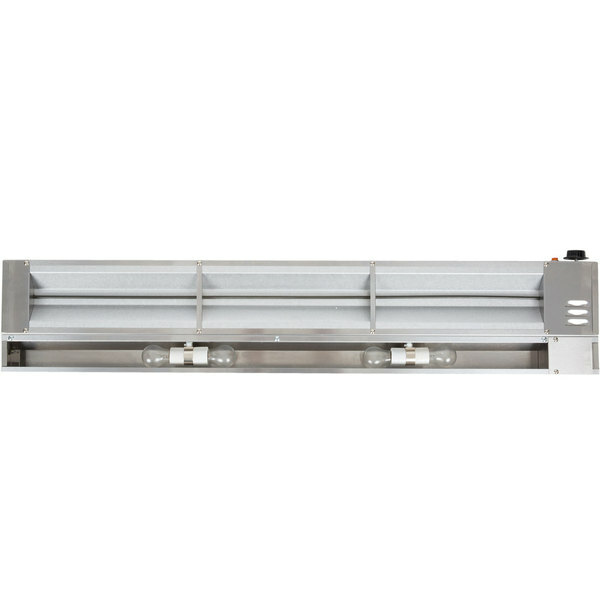 Generating 22% more heat than similar Calrod units, this APW Wyott FDL-30H-I Calrod 30" high wattage lighted food warmer is ideal for keeping food hot and ready to serve! 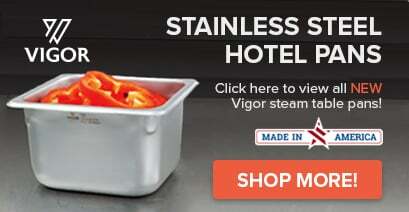 Plus, its lighted design allows you to highlight all your signature dishes in buffets, carving stations and other front of the house applications. 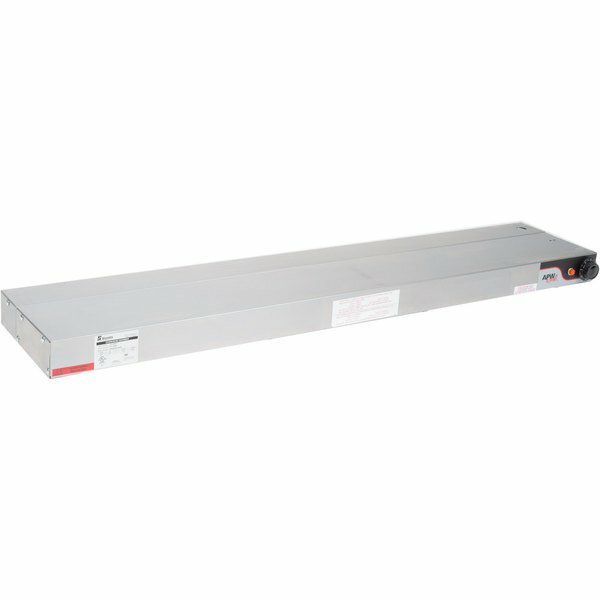 This model features tubular, metal-sheathed Calrod heating elements to deliver 840 watts of heating power, while its special mirror finished stainless steel reflectors help to enhance heat. This warmer's stainless steel housing gives it industry-leading durability and resists corrosion for long product life. 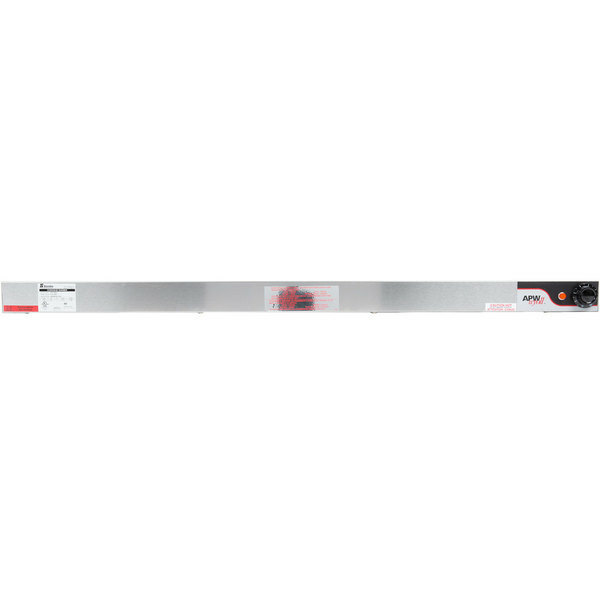 It features side mounted infinite controls for precise temperature management, and for easy installation it also includes a set of mounting brackets. Left to Right: 30 1/4"